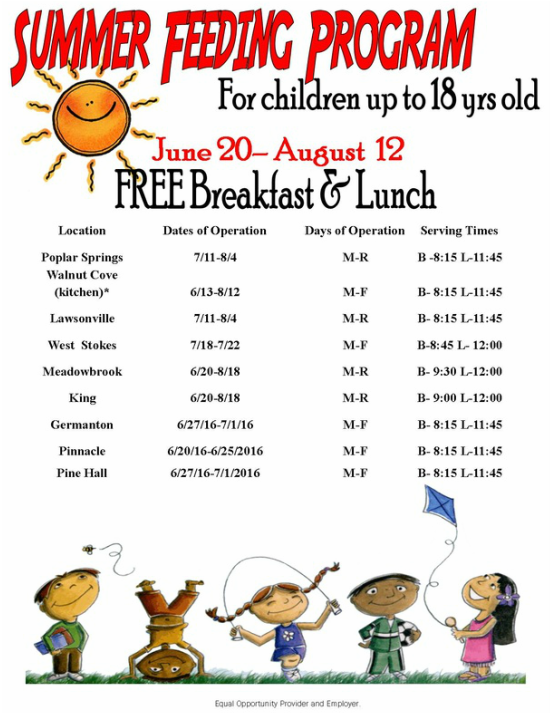 Please note that not all sites will qualify to participate in the Summer food service program (SFSP) and decisions will be based off of the information provided on the form below. We are able to provide both meals to each site. Due to financial limitations sites may be required to pick up meals from a central kitchen location each day. Example: Some day cares receive reimbursement for meals served to enrolled children through DHHS. Sites receiving free meals through the School Nutrition Program cannot receive additional reimbursement for those meals from other programs. If you wish to file a Civil Rights program complaint of discrimination, complete the USDA Program Discrimination Complaint Form, found at http://www.ascr.usda.gov/complaint_filing_cust.html or at any USDA office, or call 866.632.9992 to request the form. You may also write a letter containing all of the information requested in the form. Send your completed complaint form or letter to us by mail at U.S. Department of Agriculture, Director, Office of Adjudication, 1400 Independence Avenue, S.W., Washington, D.C. 20250-9410, by fax 202.690.7442 or email at program.intake@usda.gov. Individuals who are deaf, hard of hearing or have speech disabilities may contact USDA through the Federal Relay Service at (800) 877.8339; or (800) 845.6136 (in Spanish).